North Carolina breweries as we know them today are relatively new, considering the revolutionary Pop the Cap initiative only happened in 2005. That’s when NC changed the laws for “alcohol by volume” from six to 15 percent. Since then, the state has seen a boom in high-quality great craft beer making. 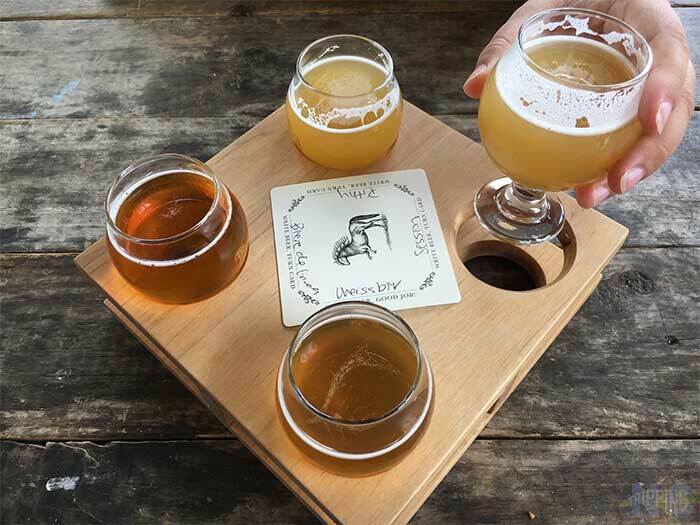 We even celebrate NC Beer Month in April and thought for that momentous occasion, and for the rest of the year, we’d share our favorite North Carolina breweries with you. 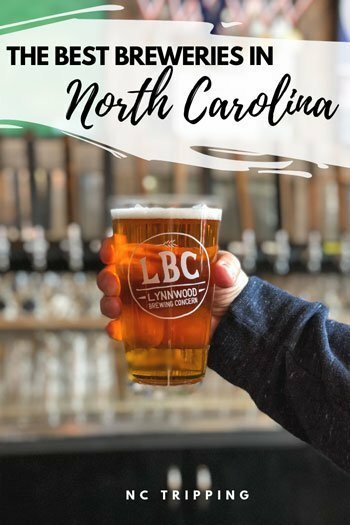 North Carolina Craft Beer & Breweries discusses Pop the Cap and many of these breweries that you’ll find when traveling through North Carolina. 12 Old Charlotte Highway, Suite 200. Highland Brewing is North Carolina’s largest producing brewery and the first legal one in Asheville since prohibition. They have an impressive brewery and taproom, but they also give back to the community in many ways, by donating to over 100 charities a year and running on solar power. 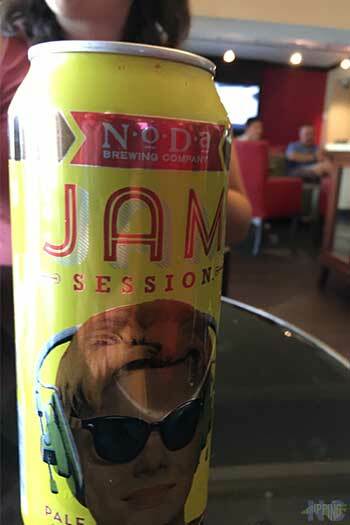 We suggest you kick back with a Gaelic Ale or our favorite Daycation IPA! Two Asheville locations ((197 Hilliard Ave. and 2 Huntsman Pl.) and also featuring a taproom in Durham (800 Taylor St., #9-150). “Balanced and approachable” is how Hi-Wire Brewing promotes their beers and we absolutely agree with that moniker. The Asheville-based brewery offers beers that perfectly align with their chill spaces, which are filled with unique and colorful murals and even a soccer pool table! New Belgium Brewing is employee-owned that was the realization of a young aspiring homebrewer’s vision. Of course, he first got the idea while riding through European villages with his “fat tires” for famous beer. 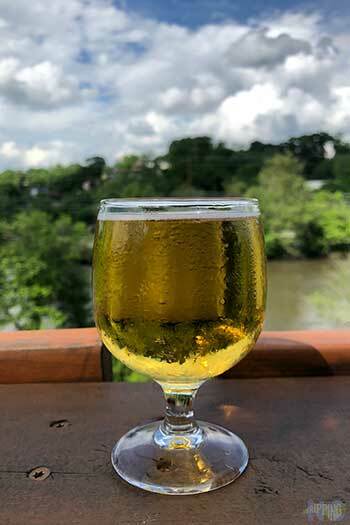 They are Colorado-based, but you should visit their Asheville taproom and hang out overlooking the French Broad River while tasting New Belgium’s world-class beers. While not a native Tar Heel State company and technically in Mills River, you just have to see Sierra Nevada Brewing Company in person. Their NC location offers incredible tours, ranging from your standard Brewhouse Tour to a 3 hour intense Beer Geek Tour. With the latter, you’ll learn all the ins and out of Sierra Nevada’s fresh full-flavored beers. 91 Biltmore Ave. and 147 Coxe Ave. 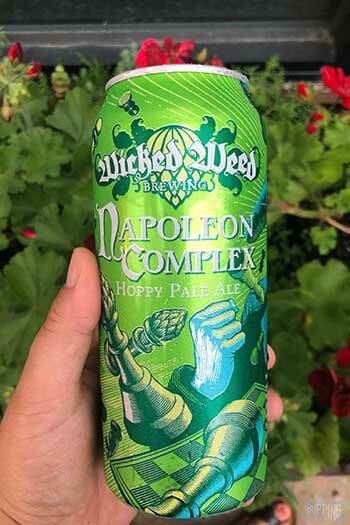 Promising big, West Coast hoppy ales, Wicked Weed Brewing brings delicious brews like Pernicious, Lieutenant Dank, and their French Toast Stout. We personally enjoy hanging out at the Funkatorium in Downtown Asheville. These breweries featured prominently in our A Weekend in Asheville, too! 152 Sunset Dr. and also featuring a taproom in Hickory (883 Highland Ave. SE). 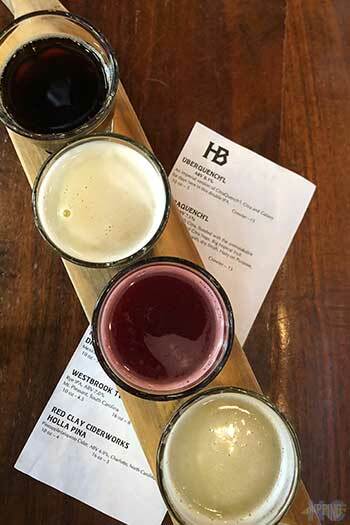 Sustainability in the high country with delicious beers and even an Inn? Blowing Rock Brewing does all that, by using photo-degradable six-pack ring carriers that dissolve in the sunlight and local NC ingredients. This Blowing Rock brewery also give priority to High Country farmers first and use 100 percent recyclable aluminum cans. We also mentioned visiting this brewery in our guide to a weekend in Blowing Rock. Oskar Blues is a Midwest transplant, but they’ve made a positive impact on Brevard and its surroundings. And of course, they came packed with good beer, like Dale’s Pale Ale, which has been a staple for us ever since college. 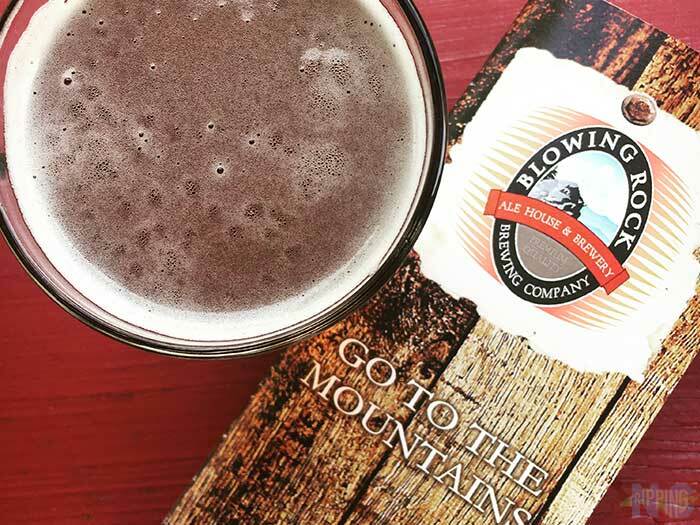 In the fresh mountain air, indulge in a Pinner or Death by Coconut at this awesome taproom, which is less than 10 minutes from Pisgah National Forest. 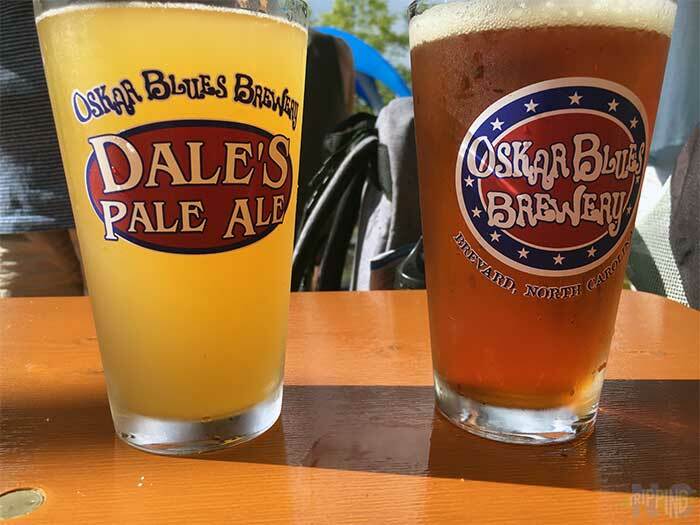 A lot of folks we talked to travel down to Oskar Blues from Asheville, but we think you need to give at least a weekend in Brevard! Check our “Honorable Mentions” for NoDa! Family owned and operated, Sycamore Brewing prides themselves in their Charlotte roots. With uniquely dazzling artwork on their cans and a cider company, Wild Blossom Cider, Sycamore is a must-visit when in the Queen City. Heist Brewery is Charlotte’s first craft brewpub and has remained one of the best breweries in North Carolina for a few good reasons. If you’ve been, you might have your own ideas, but we remember Heist’s delicious Belgian-style beers, delicious small plates, and their fun atmosphere. Originated in Morganton (212 South Green St.), but hosts taproom locations in Charlotte (933 Louise Ave. Suite 105) and Asheville (32 Banks Ave. and 63 Brook St.). Does a beautiful skyline view, outdoor patio, and 10,000 square foot taproom sound perfect to you? Then a fistful of Catawba Brewing‘s White Zombie White Ale or a Peanut Butter Jelly Time is the companion you need. While Morganton is Catawba’s first home, we really like the Charlotte spot for their incredible views! 107 E Parrish St. #105. You may have heard of BCBB from their tarantula burger during exotic meats month. However, this delicious Durham restaurant is just as well-known for its award-winning beers. Our favorite there is Parrish Street Pale Ale, but we’re always coming back to sample the rest. Since it’s the only craft beer company located inside a Minor League Baseball stadium, sipping on a Bull Durham Beer Co. is a must. Enjoy it during a Durham Bulls game or see it out and around the town at various shops and bars. We also included Bulls games and other Minor League favorites in our Spring Things to Do in North Carolina! We mentioned Pop the Cap at the beginning and Fullsteam Brewery owner Sean Lilly Wilson was instrumental in that movement. Still going strong, his innovative beers push the limits of grain-to-glass. Fullsteam incorporates North Carolina ingredients and flavors like pawpaw, sweet potato, persimmon, and basil. Their moniker is “The beer beer would drink if beer could drink beer.” But aside from making awesome brews for beer itself, Ponysaurus made headlines when they created the “Don’t Be Mean to People” Saison in response to HB2. They’ve continued to support marginalized groups and even hosted a benefit for the ACLU in 2018. Starting as a pipe-dream between friends over beers, Bright Light Brewing Company quickly became a reality. This veteran-owned and newly opened brewery has a large outdoor patio and continues to give back to the Fayetteville community and beyond. Directly from the grain in the silo out front, The Mash House (4150 Sycamore Dairy Rd.) brings you the freshest preservative-free beer. 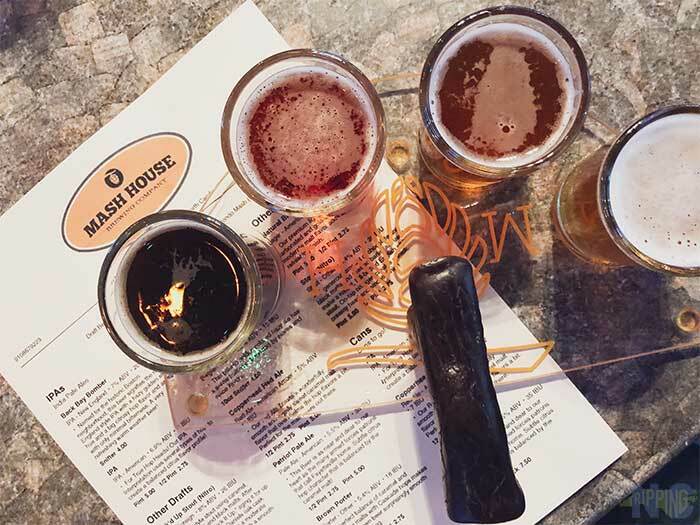 Have it in your usual pint or try out all nine beers on tap with the Mondo Mash sampler! Don’t forget about Natty Greene’s neighbor across the street: Little Brother. Sip the South through your pint glass at Natty Greene’s Brewing Company, which is one of the best-known North Carolina breweries in the Triad. 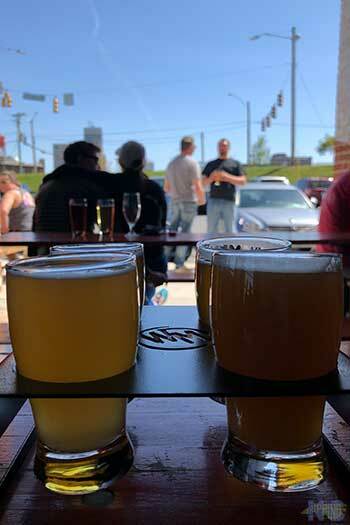 At their Downtown Greensboro taproom, you can choose from the reliable Mount Mitchell IPA or try one of the rotating brews like their Blackberry Saison. 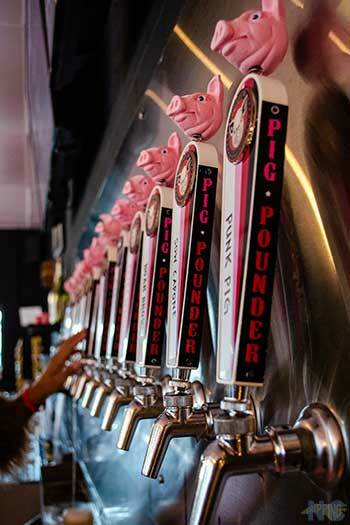 Located in Greensboro’s Midtown, Pig Pounder is bound to make you squeal. With award-winning English Brown Ales, grab a “pound-er” and check out their weekly cask ale series. We’re also excited about their ever-expanding Pavilion, which is filled with fun games and places to chill out with friends. As the oldest active brewery in Wake County, Carolina Brewing Company started as a basement dream and now is one of the best-selling breweries in the Triangle. You can check out the taproom person from Wednesday to Sunday, with tours available on Saturdays. We mentioned Holly Springs, Saxapahaw, and Wake Forest (who you’ll see later) in our guide to small towns in Research Triangle, too. Embodying the spirit of small-town Eastern North Carolina, Mother Earth Brewing founders bonded over the love of home-grown produce and hand-crafted beers. Their mission is simple: “to help you savor the goodness of Mother Earth.” I mean, how can you go wrong with that? Who doesn’t want to sip on delicious brews and relax on a hammock?! That’s exactly what the guys at R & R Brewing thought when they opened up their microbrewery in the middle of Eastern North Carolina. Visit them and get your R&R on. Oh, and don’t be shy. There are tons of nice people inside. We added the people to our ode to the 4 Ps of Goldsboro, which is Mt. Olive’s close neighbor. Combining two passions, Crank Arm Brewing in Raleigh is the perfect meeting place for cyclists and beer lovers. 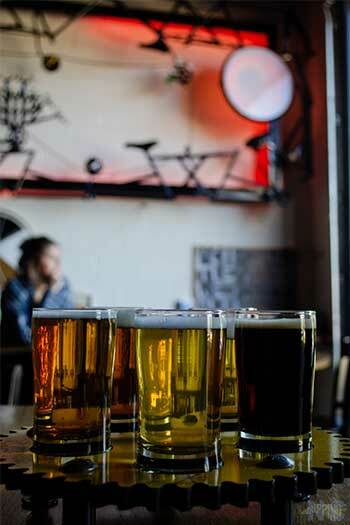 Skip the road age and bike over and enjoy their award-winning beers. And if you’re into cycling, join Crank Arm for one of their weekly bike rides (Wednesdays). Who doesn’t want to be an outlaw for the day!?! At Lonerider, you can slug down a Shotgun Betty and yell “Hoppy Ki Yay!” as you pull into their aptly named brew room, The Hideout. Honestly, the names of their beers are the most fun to tell people about. Plus, they’re really good, too! 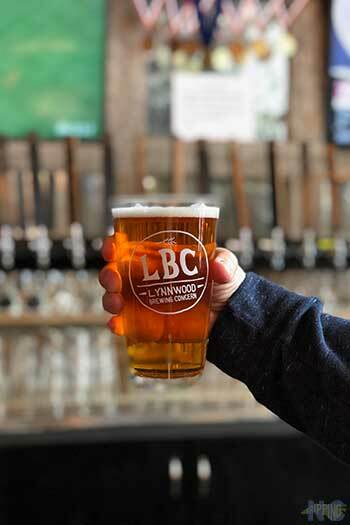 From humble beginnings, Lynnwood Brewing Concern prides themselves as a community, not just a bar. Every Tuesday, $1 from every beer is donated to a chosen charity or local cause. So drink up and give back at the LBC! We also mentioned the LBC in our Day Date Things to Do in Raleigh. Also, all of these places made our Winter Things to Do in Raleigh. 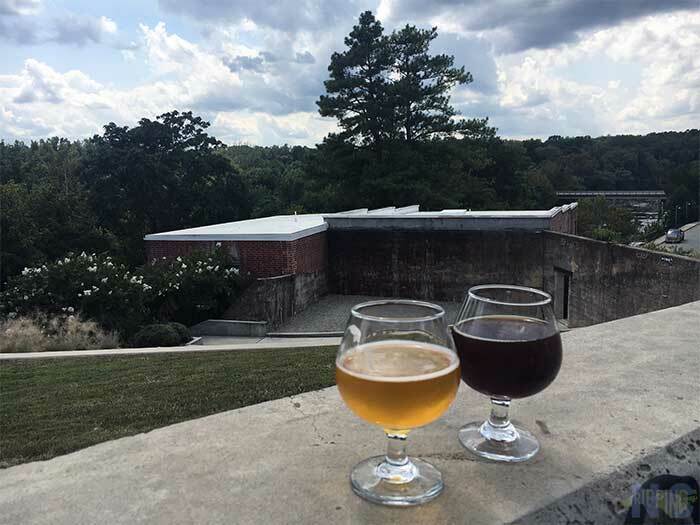 Sip on Belgium-style ales in an unexpected place at Haw River Farmhouse Ales Nestled in the tiny and almost hidden town of Saxapahaw, this brewery overlooks the Haw River and produces some of the best sour ales we’ve ever tasted! 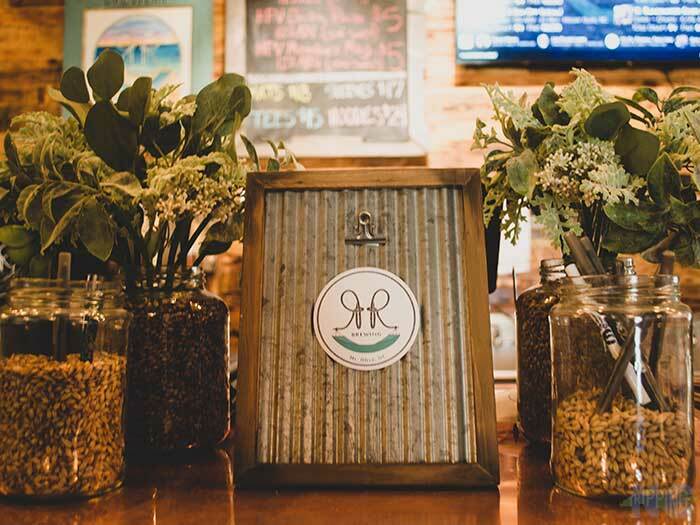 565 Air Tool Dr. Suite E.
Founded by three Green Berets in the middle of their active service, Southern Pines Brewing Company (565 Air Tool Dr. Suite E) quickly became known as “Rooted in the Community.” Each of the owners share the idea that beer should bring people together. You can learn more by sharing a pint at this 100 percent veteran-owned brewery! Big time beer and small town soul is what is promised from White Street Brewing Company (218 S. White St.), and they truly deliver on that. Chances are if you’ve ever had one of their beers, it’s probably Hoptimist, but their Scottish Ale is also A-plus in our book! Upholding the Law of Purity enacted in 1516 to save the use of cereal grains to prevent famine, Red Oak Brewery still only uses water, malted barley, and yeast and hops to craft their delicious Bavarian-style lagers. If you’re traveling on I-40 E/I-85 N, Red Oak’s electronic signboard will not disappoint with their powerful and sometimes controversial messages. Developed by a PhD scientist, Wise Man Brewing was founded with the spirit of innovation and discovery. New recipes are always being tested and shared in their giant taproom! 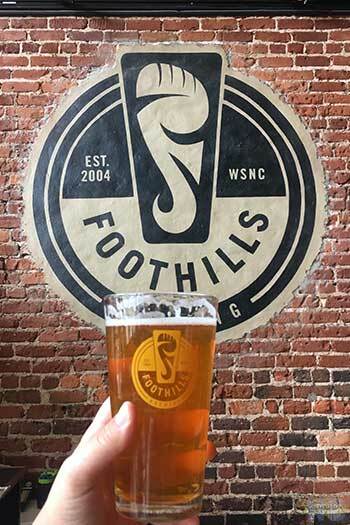 638 West Fourth St. and 3800 Kimwell Dr.
With their iconic propaganda style artwork, Foothills Brewing has two Winston-Salem locations, and is North Carolina’s second-largest producing brewery. With great creations like People’s Porter and Torch Pilsner, you’ll quickly see why Foothills is an iconic establishment in North Carolina beer. Both of these places featured in our Weekend Things to Do in Winston-Salem. 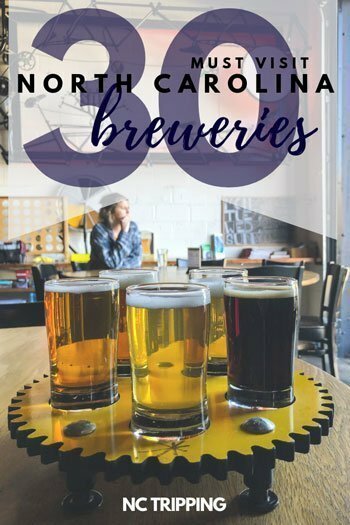 Some honorable North Carolina breweries that we couldn’t leave out include NoDa Brewing Company in Charlotte (2921 N Tryon St. and 2229 N Davidson St.), Olde Hickory Brewery in Hickory (2 3rd St. SW), Top of the Hill Restaurant & Brewery in Chapel Hill (100 East Franklin St., Lost Colony Brewery and Cafe in Manteo (208 Queen Elizabeth St.), and Wilmington Brewing Company in Wilmington (824 S Kerr Ave.). With everything from pawpaw beers to habanero stouts, North Carolina has quickly become THE beer destination in the South. 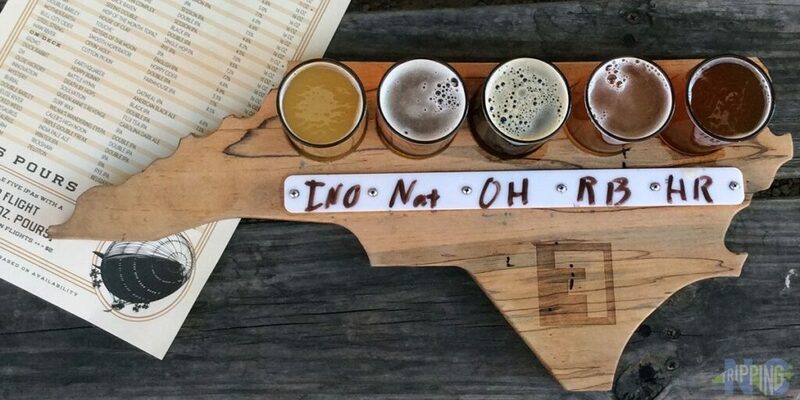 We hope you enjoy these North Carolina breweries as we do and if you haven’t been to any, we challenge you to visit as many as possible, not only in April, but throughout the year! 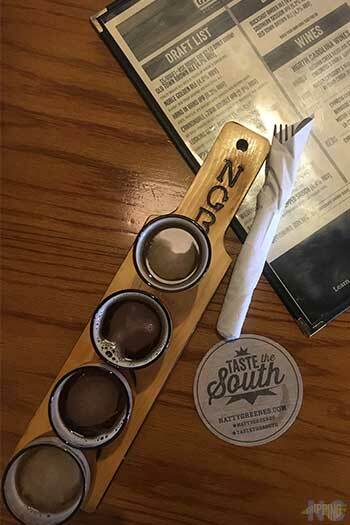 This entry was posted in Travel and tagged Asheville, Beer, Blowing Rock, Brevard, Charlotte, Durham, Fayetteville, Greensboro, Holly Springs, Kinston, Mills River, Mount Olive, Raleigh, Saxapahaw, Southern Pines, Wake Forest, Whitsett, Winston-Salem.